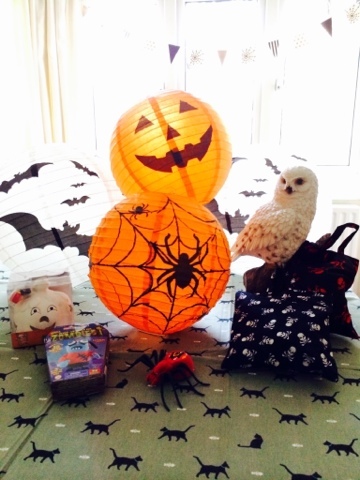 Any excuse for dressing up, eating cake and having fun - my little people have requested a Halloween party this year so I thought I'd share some of our plans with you! I really wanted to set a theme for the room, we will be having a buffet so lots of decorations around the table. 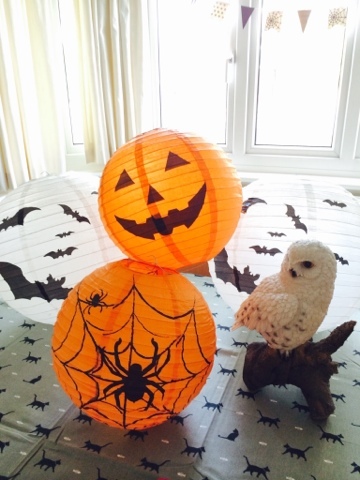 These spooky paper lanterns are brilliant from The Hanging Lantern Company, I've grouped some together in the fireplace and will hang some at the front of the house too. 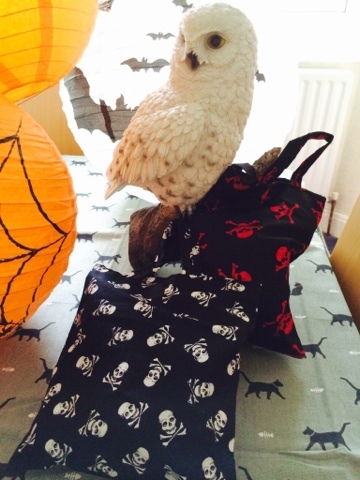 Having Harry Potter fans in the house, I couldn't resist this beautiful Snowy Owl, such lovely details, we've already had one small person whispering "is it real?" 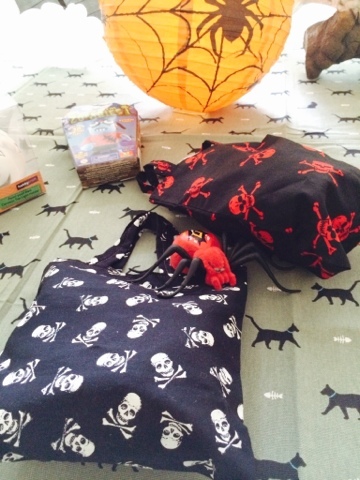 We've gone for a Black Cat tablecloth from Sophie Allport to really set the scene! 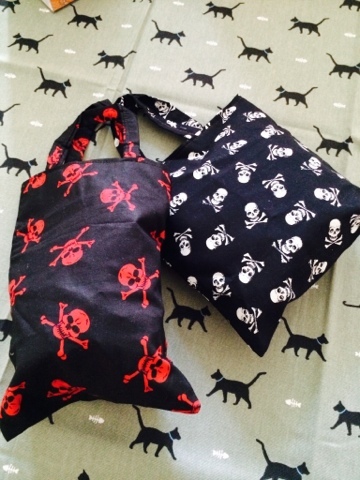 As ever, reusable bags are on my must have list - Handmade Skull and Cross Bones Fabric Party Bags from Charlie Moos are perfect for girls and boys and come in a variety of fabrics to select from. Look out! Theres a giant spider hiding in there! 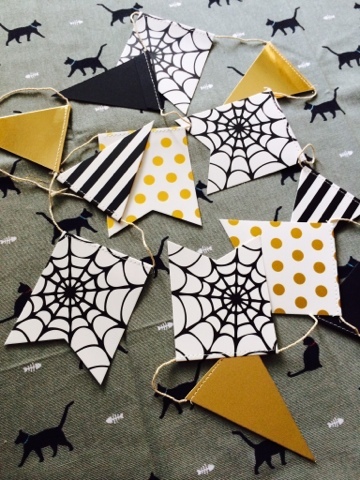 Love this Halloween bunting from Luck and Luck! The gold, black and white designs are beautiful enough to take us from the children's party in the evening through to the grown ups dinner party later! 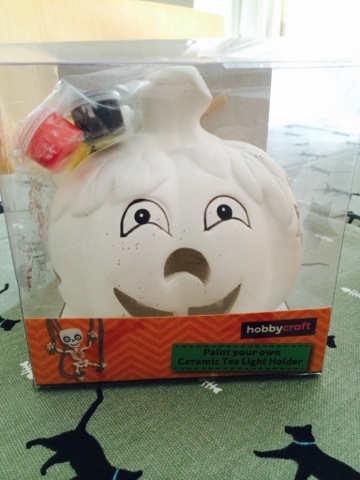 For further inspiration, check out my Halloween Pinterest board! 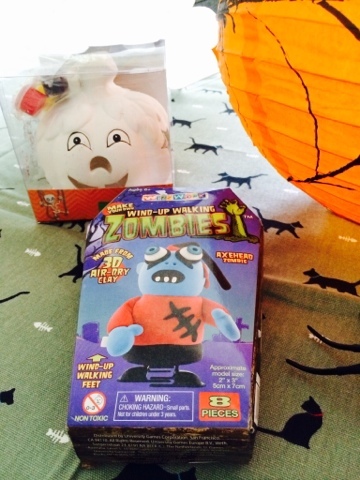 Disclaimer: I received some of the items featured for the purpose of this article. Thanks for featuring Charlie Moo's! 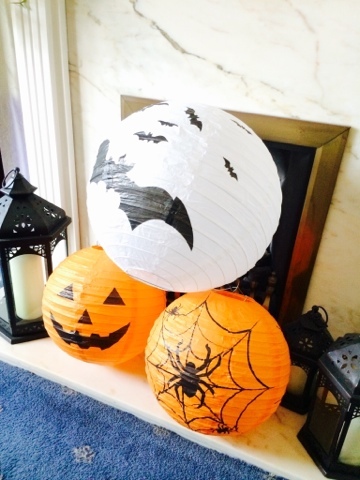 I love those paper lanterns!